NLP jargon alert! “Calibration”. What on earth does this mean? You know if you have a pair of old fashioned kitchen scales, you have to make sure they are set to zero before you measure something. 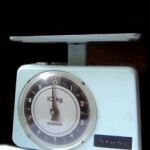 That way, you are starting off from an accurate baseline so you know that when you put the item on the scales, the weight it shows is accurate. When you do that, you are calibrating the scales. In NLP, it’s a similar concept. It’s about noticing changes in another person’s responses in an ongoing interaction with them. You would notice their posture, voice tone, facial expression, and micro muscle movements at the start of your interaction, which gives you a baseline reading. Then you monitor any changes in those as the interaction continues. 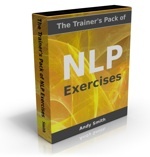 This is essential to being able to use NLP successfully. It’s also essential in successful communication. A bad communicator will prejudge or imagine the internal responses of others – “hallucinate” them as we say in NLP. A good communicator learns to read the external signs of these internal responses, in real time, as the interaction goes on. For example, let’s say a manager has noticed that every time a team member talks about feeling ‘unhappy’, a crease appears between his eyebrows, his lips narrow, and his shoulders come up slightly. If at some time later, the manager observes the team member doing this in a team meeting when she’s announcing some new task, that gives her evidence that he is not happy with this new requirement and she can respond appropriately. The more you pay attention to the other person, the easier it becomes to read their responses. Of course, if you have the opportunity to observe them over a period of time, as with a work colleague or family member, this gives you more information to work with – but you have to pay attention. You may have worked with people who seem to pay very little attention to people around them. Sometimes they don’t even look at the person as they are having a conversation. You could pick up more information about the people around you in a minute than others notice in several months – if you pay attention.